Planning to take the tests required for obtaining Google’s Individually Qualified certification? 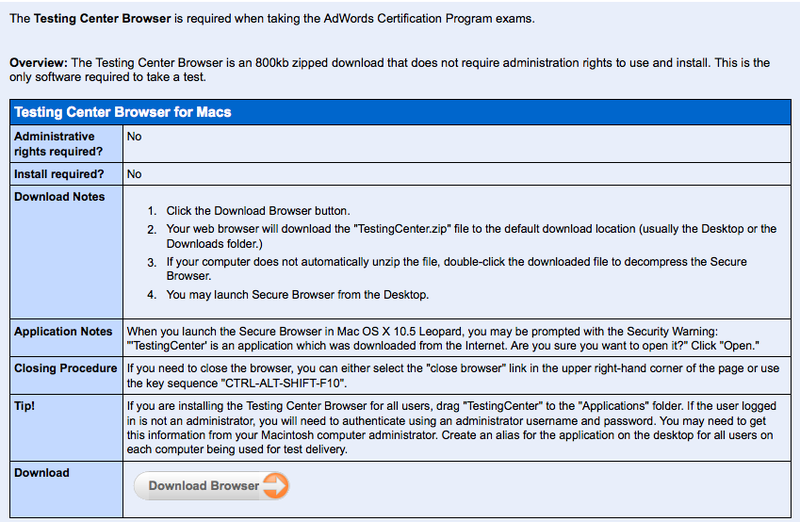 If so, you will be required to download and install the “Testing Center Browser” to take the test. This entry was posted on June 10, 2010 at 2:48 pm and is filed under Adwords Certification, Testing Center Browser. You can follow any responses to this entry through the RSS 2.0 feed. You can leave a response, or trackback from your own site.